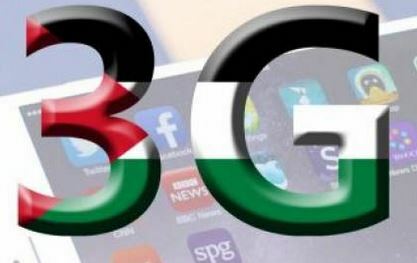 The Israeli Authorities agreed, on Thursday, to release the 3G frequencies and equipment that Tel Aviv has been holding for many years, thus allowing the Palestinian telecommunication companies to provide residents with 3G services.Israel had been denying the Palestinians access to 3G technologies for what it called “security issues”, saying the government needed to conduct a series of measures to “ensure the security of Israelis” and to resolve other technical issues through the Communications Ministry. Despite the agreement to open the technology, Israeli authorities say they will retain full control over the allocation of the needed Radio frequencies that would be operational in the occupied West Bank. Mobile telecommunications in Palestine are exclusively provided by the Palestinian Telecommunications Group (Paltel,) and al-Wataniyya Telecommunications WATA.PL, but both companies have, until now, only been allowed to provide the Palestinians with 2G service, which only allows customers to make calls, and provides very limited access to data. The companies are hoping to begin providing 3G soon, to enable the customers to access the Internet from their mobile phones in addition to text and phone calls. Hussein al-Sheikh, the Palestinian Civil Affairs Minister, said in a statement that the agreement allows telecommunications companies to start the actual implementation on the ground. While many parts of the world already have 4G, and are moving for full implementation of 5G, Israel has been denying the Palestinians access to 3G services under various claims, including “not having enough frequencies for 3G,” in addition to telling the Palestinians that access to 3G should go through Israeli providers. It is worth mentioning that Israel’s Communications Ministry started allocating 4G frequencies to Israeli providers earlier this year. Under the Oslo Agreement of 1993, signed between Israel and the Palestine Liberation Organization (PLO), Israel maintains full controls over all frequencies, and grants the Palestinians limited access, an issue that prevented Palestinians from gaining access to advanced telecommunication technologies in the West Bank and the Gaza Strip. Ma’moun Matar, a Palestinian telecommunications expert, said the release of 3G service in the Occupied Territories is a positive move, but still falls behind the current developments in this field around the world.